The Gaslamp Quarter Association® (GQA) is a non-profit 501(c)6 merchants association, representing more than 400 businesses located in within the boundaries of the Gaslamp Quarter. The GQA is the second oldest Business Improvement District in the City of San Diego, having been established under City of San Diego Ordinance No. 15647 on January 4, 1982. The GQA is contracted by the City to manage and promote the Gaslamp Quarter National Historic District, and is partially funded by the City of San Diego’s Small Business Enhancement Program. The GQA’s operation is overseen by a volunteer Board of Directors, and managed by four full-time staff members. The GQA Board and Staff works throughout the year to actively promote the Gaslamp Quarter as San Diego’s premier dining, shopping, and nightlife destination through community and media relations, special event production, management and growth of the Gaslamp Quarter digital footprint, and coordination various promotional programs, member workshops, and forums for the benefit of our vibrant community. To promote and protect the historic Gaslamp Quarter as San Diego’s premier Shopping, Dining, and Entertainment District, using advocacy, community relations, and promotional programs to present an exciting, sophisticated, world-class destination for the residents of, and visitors to San Diego, for the prosperity of the Association’s membership. 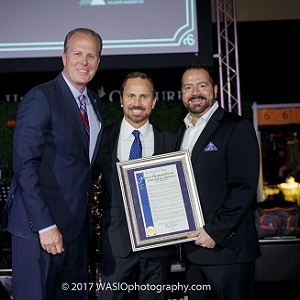 The GQA is led by a volunteer Board of Directors that sets the course for Gaslamp Quarter programming, events, and initiatives throughout the year. Comprised of 15-21 GQA members elected by the entire GQA membership, the Board represents the diverse business make-up of the district, including restaurant, retail, lodging, professional services, and nightlife business owners and managers. Comprised of the Officers of the Board, including the Chair, Vice Chair, Second Vice Chair, Secretary, Treasurer, and Immediate Past Chair. Call the GQA Office for more information at (619) 233-5227. The small but mighty staff of the GQA who work on behalf of the membership to administer and facilitate the GQA’s committees, events, marketing programs, and community efforts. Reviews all proposed street/sidewalk/parking closures or impacts taking place in and adjacent to the Gaslamp Quarter as outlined by the GQA Special Events Policy. The Committee acts in an advisory capacity to the City of San Diego’s Office of Special Events. This meeting is open to the public (GQA members or not) and public comment is welcome, though only GQA member businesses that have been elected to the Committee may vote on endorsement/non-endorsement of events. The GQA facilitates a number of task forces and sub-committees for its events, fundraising efforts, and special initiatives. To learn more about how you can get involved, call the GQA Office at (619) 233-5227.